Singapore — Singapore’s prime minister hopes to complete a massive China-backed regional trade pact by the end of the year. The 16-nation Regional Comprehensive Economic Partnership (RCEP) has taken centre stage as Washington embarks on a unilateral, protectionist agenda. RCEP is poised to become the largest free-trade agreement in the world, covering about half of its population. It notably excludes the US, which had been leading another regional trade pact — the Trans-Pacific Partnership (TPP) — until US President Donald Trump abruptly abandoned it last year. 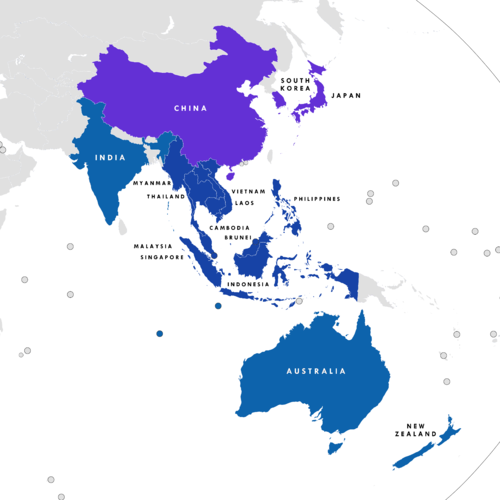 The planned RCEP pact would group the 10 members of the Association of Southeast Asian Nations (Asean) plus China, India, Japan, South Korea, Australia and New Zealand. In his comments, which came at the start of a meeting of Asean foreign ministers in Singapore, Lee also warned about escalating global trade tension. "The rules-based multilateral trading system, which has underpinned Asean’s growth and prosperity, is under pressure," he warned. "It is important that Asean continues to support the multilateral trading system." His remarks came soon after the US escalated a trade row with China on Wednesday by saying it was considering more than doubling threatened tariffs on a range of Chinese imports worth $200bn. The US has already imposed 25% tariffs on $34bn in Chinese goods, with another $16bn to be targeted in coming weeks. The RCEP has gained attention since the US pulled out of the TPP, which was billed as the world’s biggest trade pact when it was signed in February 2016 after years of negotiations. The 11 remaining TPP nations signed a slimmed-down version of the agreement in March. Beijing is now keen to use Washington’s rejection of that pact to build enthusiasm for its own deal and increase influence in the region.